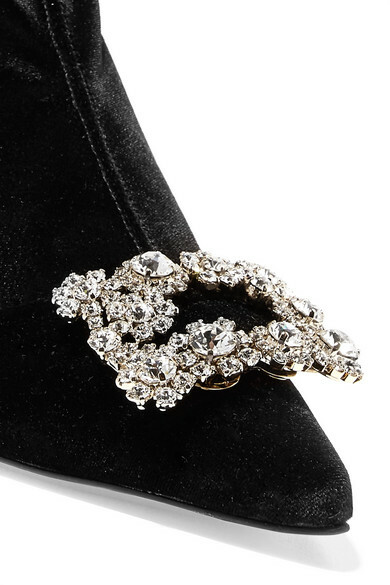 Roger Vivier's impressive history of shoemaking is a testament to the label's iconic and timeless designs - he famously created the heels Queen Elizabeth II wore to her coronation, and collaborated with the likes of Balmain, Nina Ricci and Yves Saint Laurent. 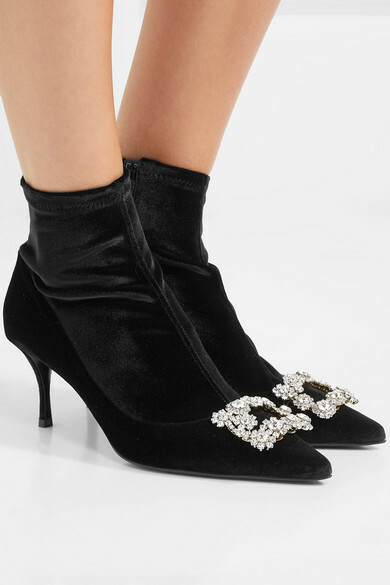 These boots are made from supple velvet and decorated with light-catching crystals to resemble an elegant cluster of blooms. 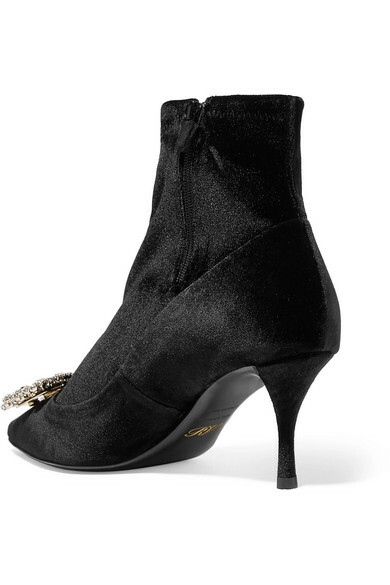 The sock-like fit makes them perfect for wearing with straight-leg denim or midi skirts. Shown here with: Victoria Beckham Skirt, Jonathan Simkhai Sweater, Hunting Season Shoulder bag, SIMON MILLER Earrings, Monica Vinader Ring.